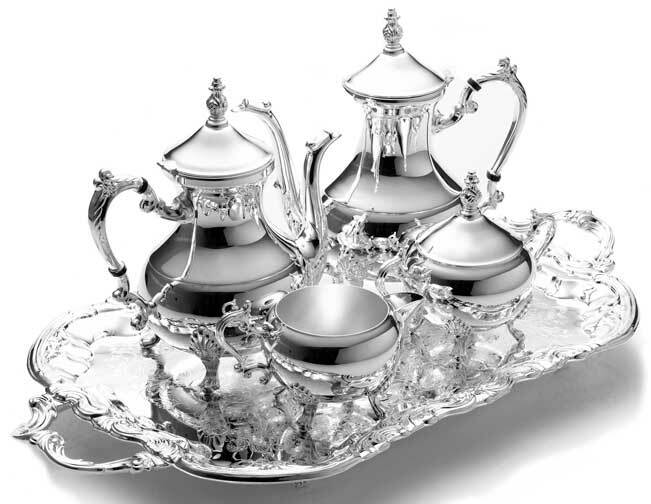 Firstly, Sterling is the term used to describe the purity of a silver item. Most silver items are not made of pure silver because it would be to soft. So a small amount of other metals are added to give more strength to the item. Silver plate: This refers to an item that has been made of a less valuable metal and then a thin layer of sterling silver is applied over the surface to give the appearance of real Sterling silver This is usually to save money and yet have a good looking item. Silver plate items do not have any commodity value but may have an intrinsic value. Again it is sometimes hard to know if you have a plated item as the markings were often made to be misleading. Seek the advice of an expert. Also some interesting infomation on some of the best American silver companys. Over the years I have bought thousands of Antiques. In-fact today I am still looking and buying antiques. My business survives on buying. If I don’t buy I cant sell and if I don’t sell then I go out of business. Having now stated the obvious lets get on with the real problem. What is an Antique? This may to some be a retarded question, but I don’t think it is. I think there is a lot of confusion out there about antiques. I think the thing is we all have our own standard. Some might say, “Well an Antique has to be over 100 years old” others may say, “something that isn’t made any longer” the webster dictionary has it as. I don’t think any of these disruptions are wrong but I don’t think they fully explain what an antique is ether. The truth is that each of us have our own idea and standard. I like to think that an antique is over 100 years old and has some rarity, it shows a high standard of craftsmanship and quality. Something that has a high value. There are many misconceptions about Antiques out there and some I find quite humorous. Just because its old doesn’t mean it antique or valuable. Just because it came from Grandmas house doesn’t mean it antique or valuable. Just because it was Grandmas prize possession doesn’t mean it antique or valuable. Just because it Antique doesn’t mean it antique or valuable. These are all things I have been offered to buy and the man who was trying to sell the toilette seat was quite upset when I was not interested.